After conferring with the OEM, I-CAR reported last month that repairers can use squeeze-type resistance spot welders to join metal which Nissan OEM repair procedures declare should get a plug-weld. 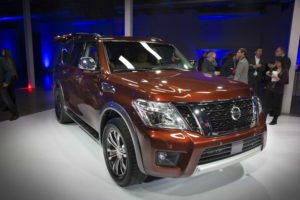 Nissan’s position as described by I-CAR sounds similar to that of General Motors, which prior to the 2018 model year had allowed and even preferred shops to use spot welding. In GM’s case, the OEM went a step further and said in 2017 it would demand shops use an approved spot welder rather than plug welding in many repairs of 2018 and later vehicles. The short answer is yes. If the spot welding arms can reach, the steel is 980 MPa or lower, and the spot welder parameters (found in the vehicle-specific BRM) are followed, then spot welding may be used instead of the plug welds that are shown in the replacement procedure. Nissan also warns that because your spot welder isn’t as good as a factory welder, repairers will need to put 20-30 percent more spot welds on the car than the factory did, I-CAR reported. See more of Nissan’s answer with I-CAR’s post here. I-CAR submitted another spot welding inquiry to an OEM last year that might be of interest to readers: What settings should be used if the Honda repair procedures don’t say? In that instance, Honda encouraged shops to use the welder’s automatic setting on everything under 1,500-megapascal steel but still perform destructive tests, according to I-CAR. Honda also explained to I-CAR how to dial in a welder without an automatic setting based on the details in the OEM repair procedures. Find out more here. These are examples of the “Ask I-CAR” feature, which I-CAR touts as a speedy and effective way to get answers from an OEM on a technical question not clear from the repair procedures. If you haven’t used it before, consider doing so or reviewing OEMs previous answers by visiting I-CAR’s Repairability Technical Support portal. “Ask I-CAR” is free to everyone, and the RTS is free to basically any shop or tech which makes an effort to train.